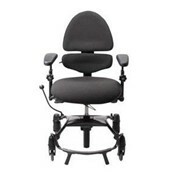 VELA Jive 100 Ergonomic Multi Adjustable Chair has multi-adjustable armrests, a backrest with good lumbar support and a unique asymmetrical base that provides free movement of the feet. 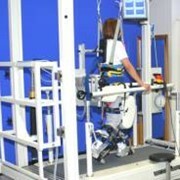 VELA has developed a chair that support arms, neck and shoulders during long procedures. 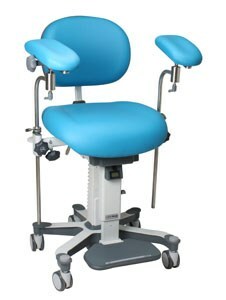 VELA Jive 100El with electric height adjustment of the seat, allows to change the seat height during procedures without compromising sterility. 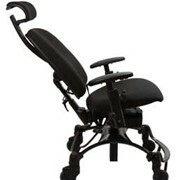 The special VELA multi-adjustable surgery armrest can be set and locked in practically any position. 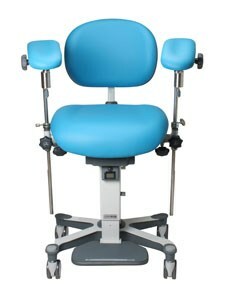 This is particularly advantageous during long procedures, when arms and shoulders are subject to signifi cant strain. 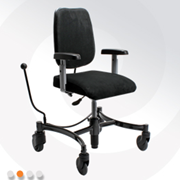 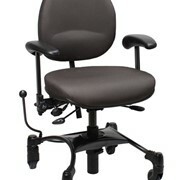 The upholstered seat and backrest provide optimal support to the pelvis, back and lumbar area. 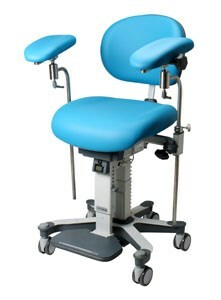 The sitting position can be adjusted during the procedure. 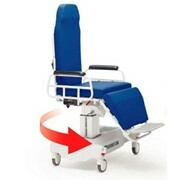 The VELA Jive is a unique product from VELA, specially designed for medical use. 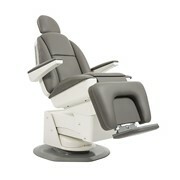 The asymmetrical base leaves plenty of room for the feet. 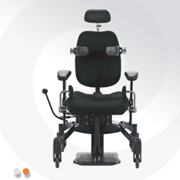 If the task requires the personnel to sit higher, the chair is also available with a foldable foot plate, which allows the user to sit comfortably and rest the feet. 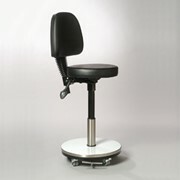 The sitting height is easily adjusted on the VELA Jive 100El with electric height adjustment, which is controlled by the feet to allow height adjustment during procedures, while keeping a sterile work environment. 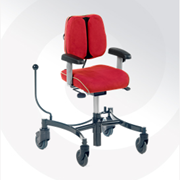 The VELA multi-adjustable armrests makes it easy to adjust the posture according to the current tasks. 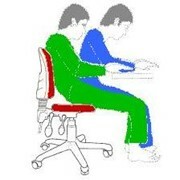 You obtain a supported work posture with relaxed shoulders and elbows and with good support for the arms and hands which prevent the risk factors, such as fatigue, tenderness, stiffness, myalgia in neck and shoulders, for static and precision work and for visually demanding work by using the VELA multi-adjustable armrests . 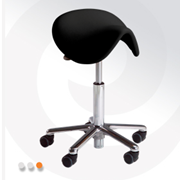 All materials used on VELA Jive ensure quick and easy cleaning using alcohol and disinfectants for medical use. 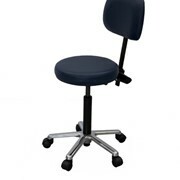 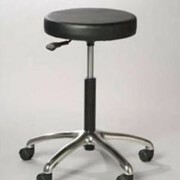 The chair is also available with antibacterial wheels and padding which can withstand alcohol and disinfectants.